Facebook has launched a new mobile site for feature phones, with the social networking site now easily available on the vast majority of the world's mobile phones. 'Feature phones' (essentially any phones that are not classified as smartphones) make up nearly 80 per cent of all mobile phone owners in the US, according to a Nielsen study from last June. While early adopters and tech fans embrace the latest smartphones and apps, it is easy to forget that the vast majority of mobile phone users still don't use or own smartphones. Facebook's latest mobile app for the lower-end phone user will now give millions more users quick and easy access to their Facebook messages, events, pictures, news feeds, profiles and the rest. The app gives users a better, almost smartphone-like Facebook experience that includes simple homescreen navigation, contact syncing and fast scrolling of updates and photos. "We want people to have a great mobile experience no matter what type of phone they carry. Smartphones have offered better features for sharing with friends but aren't used by most people around the world. The Facebook rep notes that its new mobile website will work on over 2,500 lower-end mobile phones from the likes of Nokia, Samsung and LG. 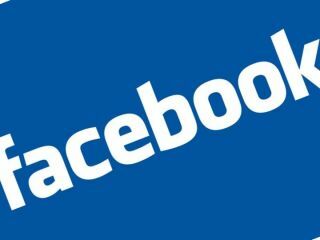 The mobile app is similar in design to the 0.facebook.com site with Facebook listing 14 mobile operators worldwide offering free data access to users trying out the new Facebook mobile app for the first 90 days.